Our event marketing superheroes can market your event all the way to the moon! With the Fuzion Digital team behind your event, you’d feel left out in the cold if you aren’t there. Any event starts with an idea, but what is the next step? We can take your idea and get it across to your market. First things first… you need a funky design for all your event marketing materials. Our talented design junkies are here to please and have innovative ideas that are waiting to burst onto the scene. What is that you say? Oh, you need an MC, well look no further. We have the best in the biz as they say. If you want to get the crowd’s attention then we have the perfect MC for your event. The words just keep on flowing! The correct message needs to get across to your audience and that is why the right content should be put out in the field. Our very talented content writers will use their words to convey your message to your market through carefully selected and strategically planned press and media releases. No event will be complete without social media elements added into the mix. Facebook events, Instagram images, Twitter GIF’s and all the other social media channels play a vital role in the marketing of your event. Keep your customers in the loop of what will happen at the event, share interesting facts about the event and make them want to be there right now! Brand engagement and customer relationship marketing need to take place prior and during the event, after the event, you can post pictures, video and thank everyone for being there. 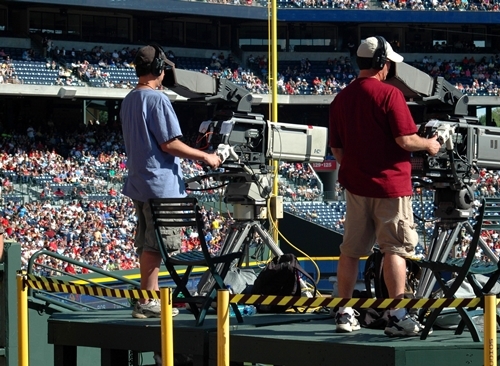 Live social media interaction and live streaming is a must! People like seeing their involvement on big screens. You can take advantage of this by using a hashtag # for the event. Our creative team is reading to capture your event with their photography and videography skills. Make memories and capture them! We know how to catch the moment. Every event has a goal to reach whether it be to create awareness or to market a product. If these goals are not reached through the event, then no matter how much the people enjoyed the event or how popular the event was, it failed on a business level. Fuzion Digital can help your event achieve its’ goal. We have the magic to make it happen!